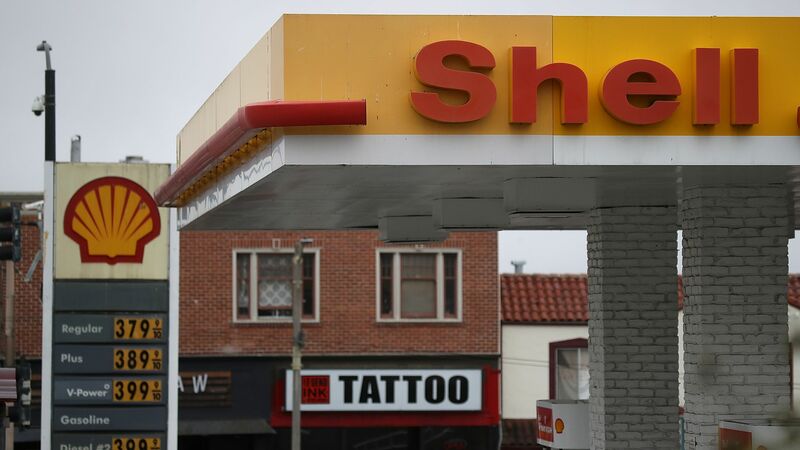 Royal Dutch Shell unveiled plans Monday to cut methane emissions from its worldwide operations to below 0.2% of the natural gas from their projects by 2025. Why it matters: Shell, BP and others promote natural gas as a climate-friendly alternative to coal, thanks to its far lower carbon emissions when it's burned. But methane is a very potent greenhouse gas, and leaks from oil-and-gas production (and elsewhere on the supply chain) erode some of that advantage. Shell's move is similar BP's pledge in April, while Exxon unveiled a methane-cutting goal in May. How it works: "Shell is implementing programmes, including using infrared cameras to scan for methane emissions, deploying advanced technology to repair leaks, and replacing high-bleed pneumatically-operated controllers with low emission alternatives," the company said Monday. Shell said its current "baseline" leak methane leakage rate ranges from 0.01% to 0.8% across its assets. The big picture: The move signals how some companies are pledging to forge ahead with methane cuts even as the Trump administration moves to scuttle U.S. regulations. However, activists say the oil majors are still moving too slowly on climate efforts overall. What's next: WSJ notes that the The Oil and Gas Climate Initiative, a group of 10 huge companies — including Aramco, BP, Shell, Total, Eni and others — plan to announce methane targets by the end of the year.